When I was working on the Adobe Museum, I became friends with the people of Toyoura in Shimonoseki, especially those from Kawatana Onsen. That’s how I came to do this project. This episode may overlap with my Shizen na Kenchiku (A Natural Architecture: Iwanami Shoten), but it all started on the day I discovered an ‘earthen wall’, constructed with some peculiar method. In Japan, earthen wall is not a lump of earth, but is made by plastering the earth on the foundation of wood or tile. But here in Toyoura, for some reason the earth on their site turns into the material for adobe, and piled up as earthen wall or warehouse. While it is certainly “un-Japanese,” if you look at Yunnan Province in the west of China, adobe had been the standard method of construction for house until not long ago. So why it exists out of the blue in this town of Toyoura, Shimonoseki, Japan, is still a mystery, and even the locals haven’t reached their conclusion yet. Earth is not the surface but the structure here. I was struck by this un-Japanese structure. I got interested in it, and made the attempt to restore this construction method with the Adobe Museum, The Repository for Wooden Amitabha Buddha Statue (2002). This project was a turning point for KKAA as we built the opaque wall standing audaciously from the ground. Before that, we avoided walls as much as possible. My interest in the structure of architecture may be the motive for this change. In my summary, the architecture of the 20th century is the synonym for the building of orthogonal frame of concrete with cosmetic cladding. The last decade of KKAA was the search for a way to replace this 20th century method. We denied the makeup and tried to expose everything as transparent. Instead of the artificial orthogonal frame, we used the roof to connect the ground with the architecture. I simply hate the wall. I detest the sloppy, flattened wall that continues on and on, and I had wanted to erase it in one way or another. In our ‘small architecture’ projects, we kept our experiment for a new type of structure. Works like ‘Water Block’ and ‘Aluminum Block’ came as an extension of this. 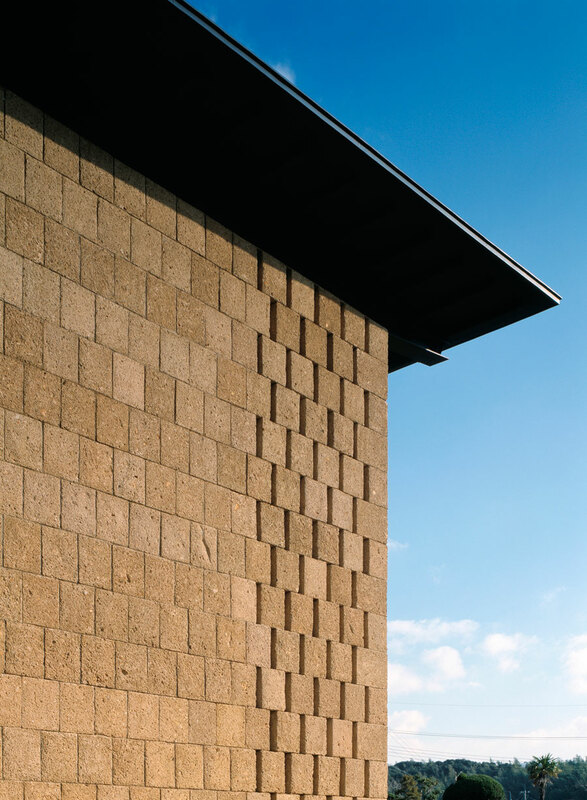 Our first project to enlarge this ‘small architecture’ to ‘big architecture’ was ‘The Stone Museum (2000).’ Here, it seemed that the detail of making the stone transparent stood out, rather than the structural aspect of pursuing new masonry. In the Adobe Museum, however, the structure surfaced more clearly in the ‘big architecture’. As Kawatana is close Adobe Museum, from the beginning I had the idea of making it an earthy, opaque lump. I planned it so also because the program of the building was concert hall, then something opaque and shuts off the sounds would be appropriate. Unlike Adobe Museum, however, the ‘structure’ of piling up small pieces one by one couldn’t give new structure to the architecture of this scale. What we arrived in the end was the roof. Our roofs (as in Hiroshige Museum or Nezu Museum) had functioned as the remover of wall, and as the eave for the transparent wall. 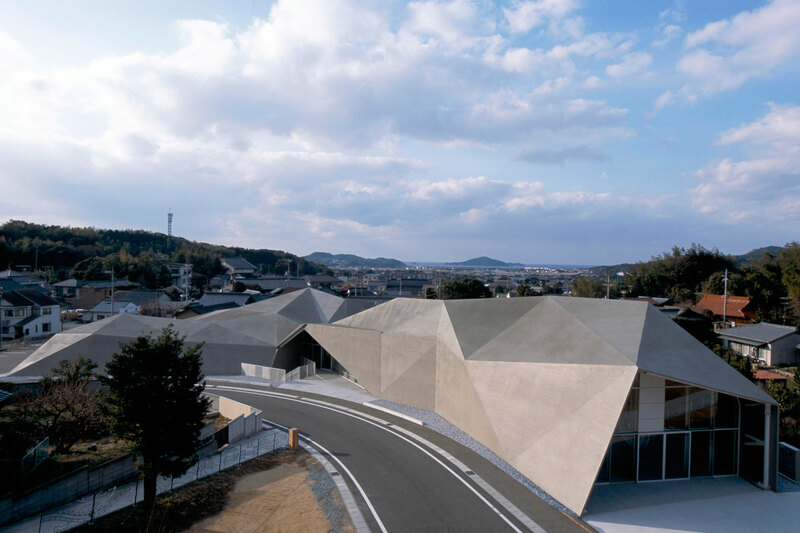 With Kawatana, we stepped toward a new direction―roof as structure. Similar to this roof is probably the one for ‘Paper Snake’, another project of our ‘small architecture’ we built in South Korea.